U.S. Food and Drug Administration (FDA) had been receiving reports of serious heart problems and deaths due to use of much higher than the recommended doses of anti-diarrhea drug loperamide and has therefore issued a Safety Announcement.It has instructed manufacturers of loperamide for use of blister packs or another single dose packaging so that number of doses in a package is limited. This is to curtail the intentional misuse of the product, despite the addition of a warning to the medicine label in a previous communication. FDA approved Loperamide to help control symptoms of diarrhea, including Travelers’ Diarrhea and is a safe drug when used as directed.The maximum recommended daily dose for adults is 8 mg per day for OTC use and 16 mg per day for prescription use. It is sold under the OTC brand name Imodium A-D, as store brands, and as generics. Loperamide acts on opioid receptors in the gut to slow the movement in the intestines and decrease the number of bowel movements. It is safe at approved doses, but when much higher than recommended doses are taken, it can lead to serious problems, including severe heart rhythm problems and death. FDA has directed the Patients and consumers that they should only take the dose of loperamide directed by your healthcare professionals or according to the OTC Drug Facts label, as taking more than prescribed or listed on the label can cause severe heart rhythm problems or death. 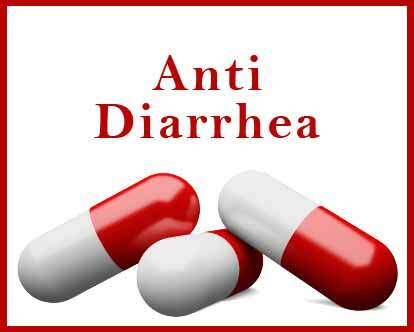 If you are using OTC loperamide and your diarrhea lasts more than 2 days, stop taking the medicine and contact your healthcare professional. Healthcare professionals should be aware that using much higher than recommended doses of loperamide, either intentionally or unintentionally, can result in serious cardiac adverse events, including QT interval prolongation, Torsades de Pointes or other ventricular arrhythmias, syncope, and cardiac arrest. In cases of abuse, individuals often use other drugs together with loperamide in attempts to increase its absorption and penetration across the blood-brain barrier, inhibit loperamide metabolism, and enhance its euphoric effects. Some individuals are taking high doses of loperamide to treat symptoms of opioid withdrawal. If loperamide toxicity is suspected, promptly discontinue the drug and start necessary therapy. For some cases of abnormal heart rhythms in which drug treatment is ineffective, electrical pacing or cardioversion may be required. Also counsel patients to take loperamide only as prescribed or according to the OTC Drug Facts label and advise patients that drug interactions with commonly used medicines may increase the risk of serious cardiac events.